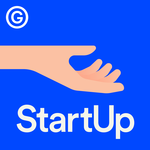 StartUp Podcast: BONUS: But Wait, There's More! Hmmm, monthly subscriptions without monthly rewards. That's a bit iffy. The transparency about money and advertising was a welcome change after the extremely cagey discussions in StartUp Season 2. Though I guess it's easier to be transparent if things seem to be going pretty well. Y'all may be interested in this screed someone posted in the Reddit taking down Season 2. I think the poster is a tad overzealous but it definitely brings up a lot of real points that I hope are addressed in future seasons. The paid subscriber thing seems to be mostly aimed at people who just want to show their support, NPR tote bag style. As others have said, you can get Netflix or whatever for $10/mo -- it's impossible to balance that amount of content compared to a Gimlet sub. So they can't compete on pure value, it has to hit more in the warm fuzzies. Huh, that reddit post is interesting. I don't have the energy to parse out all the details but it does seem to reflect how some of us felt about the season of Startup. As for supporting Gimlet...I'm torn. They're a private company with VC money and advertising. Not sure if they need my money. I feel like I should go donate to other non-profit and/or public radio shows first. Also the t-shirt selection is lacking. Then again, I do really like their shows and their business model, and I think behind-the-scenes content is great, so...we'll see. I subscribed for a year because the cost is low enough to be an impulse buy, and I want to show support for what they're doing (even if I don't like every single show or episode). I don't really care about rewards. I don't even want the t-shirt, honestly. I just think it's an interesting project, and I want to support them. I agree with most of it. I don't know that I hold Startup to the high journalistic standards he wants to, but even setting that aside, a lot of these issues simply harmed the story. I don't know a lot about radio and podcast production (I worked in TV for a while, but a very different style of content than this). But it seems to me that producing episodes months before they air is going to be problematic with this kind of story no matter what company they're following. These companies are moving and changing quickly. If you don't start airing the season until four months after you start recording, it's quite likely that the direction of the company will have changed substantially. Then you're stuck with either concealing that in service of the story, or revealing it and damaging the narrative. Producing and airing one or two episodes at a time is much harder I'm sure, and dangerous in that you have absolutely no idea where the story is going to go (or, indeed, if it's going anywhere). But with this kind of thing it seems like a better way to go. That's closer to what Season 1 was, and I think that's part of what made it work — they honestly didn't know where it was going when they started. Serial had some of that flavor as well (though they definitely produced stuff well ahead of airing). That Reddit post does crystallize a lot of my misgivings about this season: that the timelines felt compressed, manipulated, and a bit murky. And yes, the "CEO Whisperer" episode did feel really manufactured. However: this Gimlet-focused episode and its dive into the advertising/editorial boundary was fascinating. I had found the Reply All Outlook advert a bit jarring in its pushiness; interesting to me that PJ and Alex B had also felt increasingly uncomfortable about it. I did find Alex G a little too CEO-handwavey in his interview/discussion with Joe Nocera, in a "yeah, we'll probably eventually have separate marketing and editorial departments and then everything will be OK right" way. Right: because the porous illusion of that firewall has NEVER been a problem in other media. Also also: I had been wondering how Reply All was doing as it always feels to me like a somewhat scrappy and irreverent niche thing compared to Startup's serious-business and Mystery Show's artful-whimsy. $800K/year of projected revenue. I had been wondering how Reply All was doing as it always feels to me like a somewhat scrappy and irreverent niche thing compared to Startup's serious-business and Mystery Show's artful-whimsy. $800K/year of projected revenue. They're on pace to put out about 50 shows this year. So that's about $16k per show of revenue on average. I don't know what their listenership numbers are like, but that seems high to me, and I wonder if it's sustainable. I was surprised to hear that they're breaking even as well. Especially with the staff numbers they were talking about. W.r.t Reply All's ad revenue, I think I've heard $5-6k for a sponsor slot on a popular show of either the 5by5 or Mule network (when they were still active). If they have three sponsors per show then that comes up to roughly that number. Although I think that's definitely the high end for podcast advertising. I can't say that I can see any really damning evidence that Gimlet's relationship with the company went downhill(which is the most interesting idea in the Reddit post), but it would certainly explain some things. I've complained about some things I really didn't like about this season (like the two narrators) but I think the main issue was just bad luck in picking a company that wasn't that interesting, and wasn't going anywhere. Hopefully they have better luck next time. In terms of the advertising stuff discussed in this episode, it felt a little bit precious to me, but maybe that's because I've been listening to podcasts for a while and most of them have just figured out the right way to do this stuff and moved on. The advertising style in Reply All - including the Microsoft ad - doesn't bother me too much, although I have friends to whom it stuck out like a sore thumb. However, the argument that 'other podcasts' do it rings a little hollow to me. Yes, lots of other entertainment and chat show podcasts have unvarnished personal endorsement ads - but they aren't claiming to be journalists, as Gimlet does. So it doesn't surprise me that the Reply All folks were concerned. In general, endorsements are probably undervalued in the podcast community. The hosts naively just honestly say, "I use this product and like it", in an ad that costs the same as one without an endorsement, but the endorsement should be worth something, right? I listened to the whole season and agree that it was far less interesting than the first. While I admired Lauren and Emma, they often seemed very distant. I don't blame them, but it didn't make for a compelling story. It seemed like there were a few interesting paths to take in the story but the threads never really took off in the weekly instalments. I found the final episode especially blah. The reddit post is interesting and I wonder how much of it is on target. It certainly would make a more interesting story. I spend a lot of time working alone and consume a lot of podcasts. This is my major problem when it comes to funding requests. I can't fund the 15-20 I listen to regularly so for now I'm funding none of them, though there is one I'm eyeing closely. If I was to fund, I'd probably choose the ones that have a more activist, outsider position. A t-shirt and early access won't draw me in but the possibility of supporting a journalist doing work I find interesting or important, supporting some kind of social justice (so maybe even a show like Serial) or something I feel part of, even in a small way (hello Metafilter) is more likely. If they're going to ring their hands about where the advertising boundary is , they should look at the almost advertorial Reply All did with Jon Ronson about reputation.com. Intentional or not, that smelled way worse than that Microsoft ad. Loved the update and hearing their numbers. And I respect Alex and Matt for thinking ahead to hedge against times when their revenue won't be so rosy. The only flaw in their plan: if the economy does turn downwards, paid listener subscriptions are wayyyy more elastic than advertising.